One piece bolt on unit allows for easy conversion. Fast & Easy Hydraulic lift preserves cargo space. The Kan-Do can easily get to those tight spots. Vertical lift capacity of 2500 LBS. and a tilt lift capacity of 5000 LBS. Tony Pruitt of Pruitt Enterprises has been manufacturing and supplying his own line of no-nonsense recovery equipment to the towing industry for over 30 years. 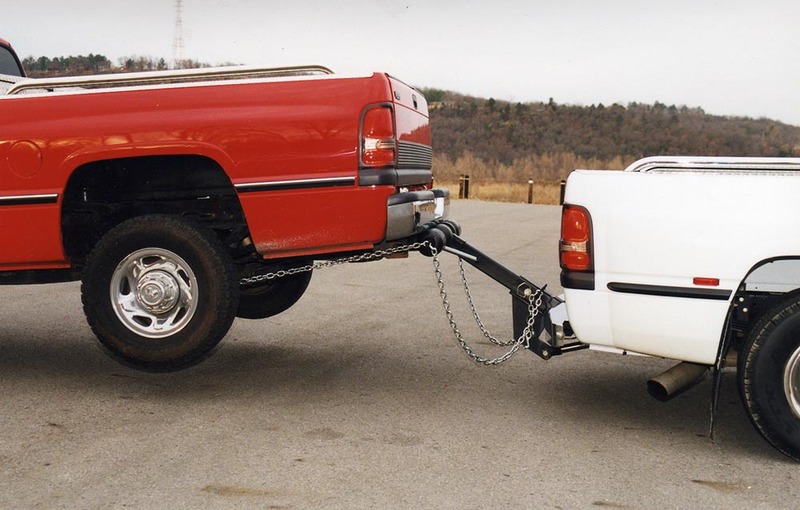 During that time the Uni-lift, a bolt on, fully self contained hydraulic T-bar or repo sling under lift, became a best seller within the ranks of independent repo operators as an affordable option to buying a wrecker. During a recent repo convention it was brought to Tony's attention that even with the advent of the all plastic and fiberglass front ends it is still one of the most diverse units on the market today. As the industry changed, wheel lifts and carriers became the only options for the repo man, thus the development of the Magnum Wheel-lift. The Magnum is a self loading wheel lift designed for 1 ton, dual wheel pickups with a 3 stage draw bar with a 72" reach. Pruitt Enterprises also designed an affordable system for waste bin delivery called the Kan-Do. 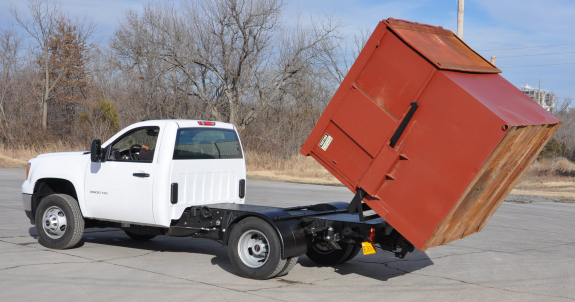 It has proven to be an efficient alternative for the large bin delivery trucks.